Portable Document Format (PDF) is a file format that the Adobe Corporation developed. It is used to easily transfer documents via the Internet. PDF files are protected from changes and retain a presentation’s exact elements, thereby avoiding problems like missing fonts or broken layouts. PDF files can be viewed with Adobe Acrobat Reader, an easily downloadable application for Windows and Mac OS X. A number of equivalents are available on Linux as well. Sending a uniform file to many recipients, transferring files from one OS to another, and having a presentation printed out in computer shops are just few of the many reasons that users convert their files to PDF. There are many applications that view and convert Word, Excel, and PowerPoint files to PDF. These include Adobe Acrobat, OpenOffice.org, LibreOffice, Word to PDF Converter V3.0, among others. 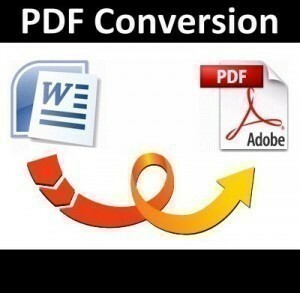 There are also sites like doc2pdf that offer easy Word-to-PDF conversion without downloading any program. Upload the file to be converted to PDF format, and it will be within minutes. If you have a document converter installed converting MS Word files to PDF is just a matter of choosing the document converter as the printer. The document converter can be set as the default printer by going to Start > Control Panel > Printers and Faxes. In the following window, right click the document converter then choose Set As Default. Open the document in Word. Choose the document converter (Adobe PDF printer or Universal Document Converter). If using Adobe PDF printer, just click OK, specify the filename and PDF file location, then Save it. If using the Universal Document Converter, click Properties then choose Document to PDF, Color, Multi-page in the scroll bar. Click OK then Print. Launch LibreOffice or OpenOffice.org, click the “Open” button, navigate to your MS Word document, and open it. Go to “File”, and then “Export as PDF”. Review the options on the PDF Options dialog that appears. You usually don’t have to change anything unless you have special requirements, in which case options should be self-explanatory. To proceed with the conversion just click “Export”, select the location to save the new PDF file to, and “Save”. Converting documents to PDF in Mac OS X is almost the same as converting it in Windows. However, a document converter is not necessary for converting MS Word documents to PDF on Mac OSX. Follow the steps below to convert a word file to PDF on Mac OSX. Open the word file in the text editor. In the Print window, click the PDF button at the bottom-left then select the “Save as PDF…” option. Choose the location, rename the PDF file, then click Save. In Mac OS X Lion TextEdit allows you to export the document as PDF by simply going to “File”, and then “Export as PDF”, making the process even easier. Keep in mind, however, that opening MS Word documents in TextEdit might not show some of that document’s formatting, causing the exported PDF file to look differently as well. It is recommended to open the Word document in LibreOffice, freely available for Mac OS X, and export the document as PDF using its own “Export as PDF” features, as noted in the previous instructions. How Do I Make Index Cards in Microsoft Word? I use Aspose.Words for Java to manage my word documents and recently they have added the feature to convert word to pdf very easily just with two lines of code. Check out this Library, i hope you will like it. I had several pdf documents on my computer and tried to change one into word, now all my pdf docs are in word form and ii don’t know how to change them back! Did you save the original PDFs? 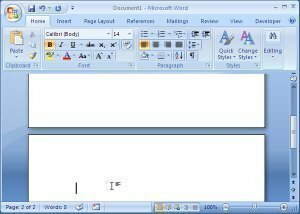 The article above actually offers several ways of converting word documents to PDF so you could try one of these methods to convert back. I know a good tool called expert pdfprofessional for converting word files to pdf format. 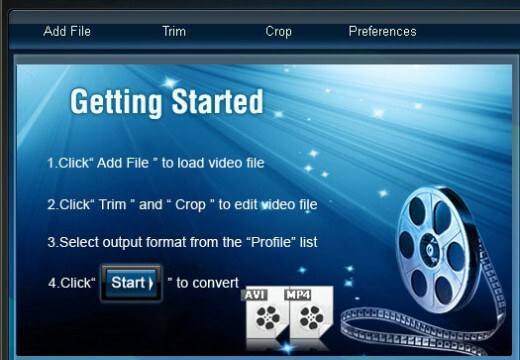 it supports other file to pdf conversion and batch conversion of files as well. Thanks so much! It really helps me so much to know about this way! However the PDF files are MUCH MORE bigger than the DOC ones (as an example: a 565 KB DOCX file becomes a 2.6 MB PDF, while a friend of mine converts the same file (on a Windows PC) into a 233 KB PDF. Could somebody help me? Thanks. Its also available in .NET. Hi, I saw this thread when I am looking for a way to put a project file with part word doc and part pdf pages together. I am thinking of using google doc as suggested by jackie (thank you bty). My question is: what should I use after I have all the pages in pdf format to put them together as a multi – pages document that I can send out digitally? I want people to be able to view this doc as if they are flipping through my hard copy folder. You can use one of the free PDF editors to convert docs to PDF if necessary (or use Google Docs as suggested), and to merge the PDFs you can try using a MergePDF web based service. Hi & the thanks a lot for all this – I am using a Mac, and can convert Word documents to PDFs as you mentioned. however, the PDF documents come out with small section cut of around the border – i.e. the word document is trimmed, and thus some of the graphics on the edges, are missing. house so it is effectively pointless. 2. also, a file that previously converted to a few hundred kilobytes, is now a 5 MB file [converting to PDF on my Mac] – how can I save, as a smaller file? how do we convert Word documents to PDFs, without losing any of the stuff near the edges? I want to convert word file into pdf file, for this, i shall have to install Universal Document Converter ??? Whether it has free edition, demo or shall have to purchase from market??? Did you try just opening the Word file in OpenOffice.org or LibreOffice (a recent new fork) and going to File > Export as PDF? Opened Word file in OpenOffice.org. Went to File > Export as PDF. Under ‘General’, noticed ‘Create PDF form’ was already checked. Also under ‘General – Submit format’, selected ‘PDF’ in the drop down box, which shows following selections: FDP, PDF, HTML, and XML. Clicked ‘Export’ button. Saved to desktop. Opened PDF file without any problems. THANKS memenode! Our requirement was to print PDF documents without using MS Word, Open Office or Adobe Acrobat PDF printer. We didn’t want to have to depend on any third part program to be installed on our customers computers. We’re evaluating jWordConvert, a java library that can convert Word documents to PDF. Sounds like a setting in print settings. I confirmed this with a friend with some experience with this and he says this sounds like a feature that should be possible to turn off. Try double checking your print settings. There must be something there causing this behavior that you can change. Anyone know why Word might be making separate pdf’s for each page in my Word document? I am using the print option, and I have tried everything to make it create ONE single pdf for a two-page document but it keeps making two. I’ve used this feature in Word before and I don’t remember this being the case. HELP!!! I am having the same problem. I think it has something to do with section breaks, but I can’t for the life of me figure out how to force it to one document. http://ubuntuforums.org/showthread.php?t=674878 works fine for me. How Do I Open XLS Attachments? How Does Microsoft Word Password Recovery Work? 308 queries in 0.342 seconds.